Our NWT Chrome 3 bar safety valve is for use with radiators or towel rails where you wish to upgrade your standard bleed valve. 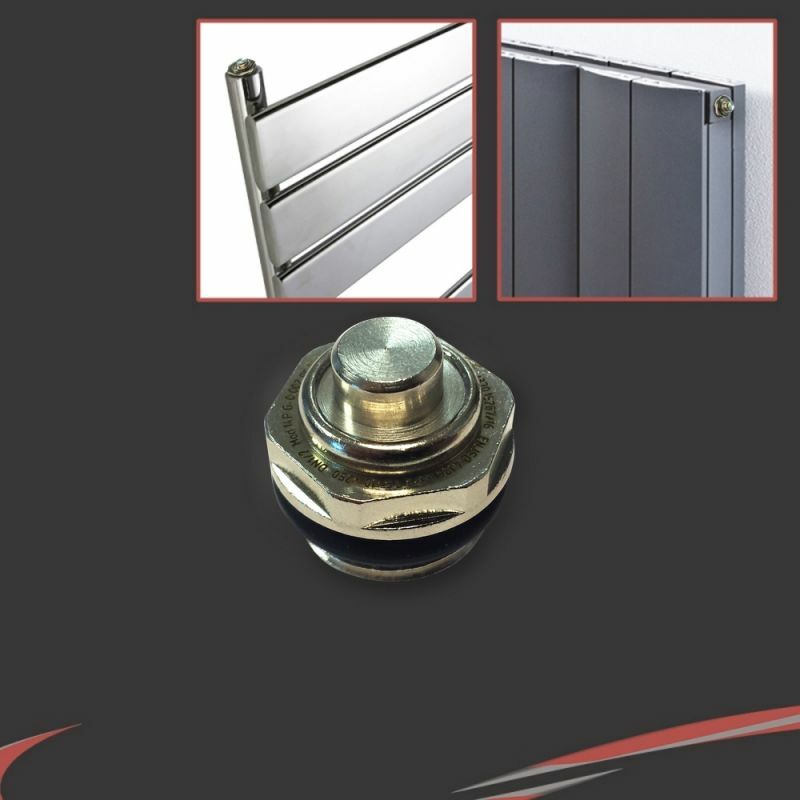 A 3 Bar pressure relief safety valve will safeguard against excessive pressure building up inside your towel rail. Your safety valve should always be installed at the top on the opposite side to your flow valve or electric heating element if possible. Our NWT Chrome 3 Bar safety valve is for use with radiators or towel rails where you wish to upgrade your standard bleed valve. A 3 Bar pressure relief safety valve will safeguard against excessive pressure building up inside your towel rail. Your safety valve should always be installed at the top on the opposite side to your flow valve or electric heating element if possible. We recomend PTFE tape is used for tight seal.